Upcoming Workshop: Etch your own PCB, Saturday, March 16th. Author BradPublished on 4 February 2013 1 December 2017 2 Comments on Upcoming Workshop: Etch your own PCB, Saturday, March 16th. This is the Arduino you'll be etching! Chinese New Year got you down? Even though its easier than ever to have your own PCBs made in China, being able to roll your own is a valuable skill to have, from simple-but-large designs, to the annual 2 week hiatus in electronics manufacturing known as "Chinese New Year." On Saturday, March 16th, Learn how to make your own PCBs using nothing more than some copper-clad board and dangerous household chemicals! 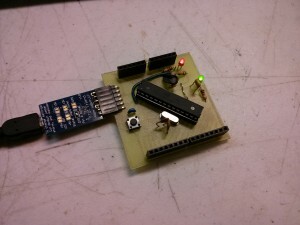 Walk away with yet another Arduino clone! You'll walk in with all the knowledge you need to perform toner-transfer PCB etching using Muriatic Acid and Hydrogen Peroxide. 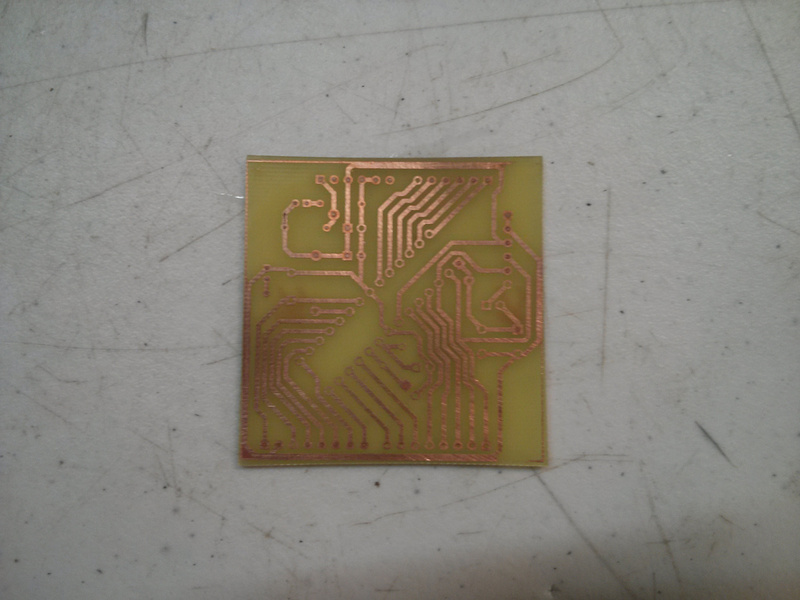 The process is described in more detail here: http://www.meatandnetworking.com/projects/toner-transfer-and-muriatic-acid-etchant-making-pcbs-at-lvl1/ Hone your soldering skills on a bare copper board, and blink an LED with the finest! All you need for this workshop is yourself! If you want to test your Arduino, bring a laptop with the latest Arduino IDE installed. If you already have an FTDI cable, buy the FTDI-less ticket. Next article:LVL1 Hosting Louisville’s Code for America Hackathon!